The reason behind the curious name of this tree is that the milky sap of this tree can cause temporary blindness if it enters the eyes. Blinding Tree is a small, evergreen or deciduous, unisexual tree, rarely up to 20 m tall, exuding poisonous white latex from all broken surfaces. Young leaves are pink and old leaves withering scarlet, blades elliptic, with upcurled sides. 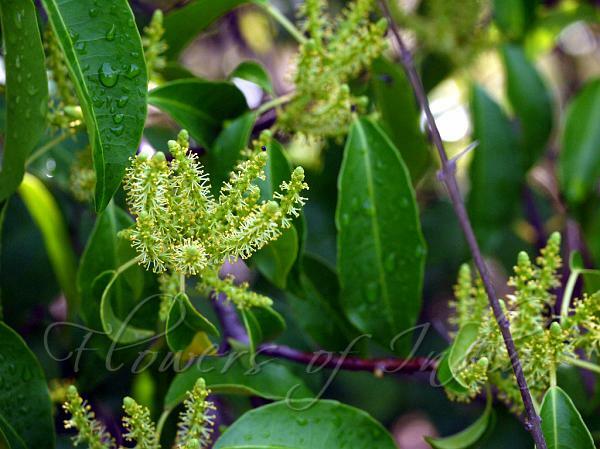 Male inflorescences hanging, narrow, 5-1 0 cm long; female inflorescences shorter, 1-4-cm long. Capsule are about 7 mm in diameter, often splitting open explosively. 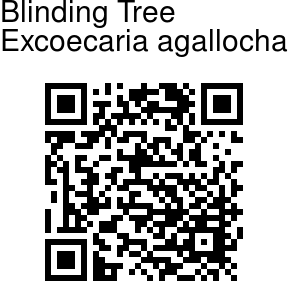 Blinding Tree is found in South India to southern Japan, Southeast Asia and Pacific Islands.